India could save at least $3 trillion (Rs 210 trillion approx.) in healthcare costs if India implements policy initiatives which are consistent with ensuring that the globe didn’t heat up beyond 1.5 degrees Celsius by the turn of the century. Among India’s commitments under INDC, India is on track to achieve the target of lowering the emission intensity of its GDP by 33-35% compared to 2005 levels by 2030 and increasing the total cumulative electricity generation from fossil-free energy sources to 40% by 2030. To achieve the goal to limit the global temperature increase to 1.5.deg c, India needs to abandon plans to build new coal-fired power plants. The Paris Accord of 2015 aims to keep global temperature rise this century well below 2 degrees Celsius above pre-industrial levels and to pursue efforts to limit the temperature increase even further to 1.5 degrees Celsius. But there has been limited progress by countries since then in committing to greenhouse gas emissions cut since then. 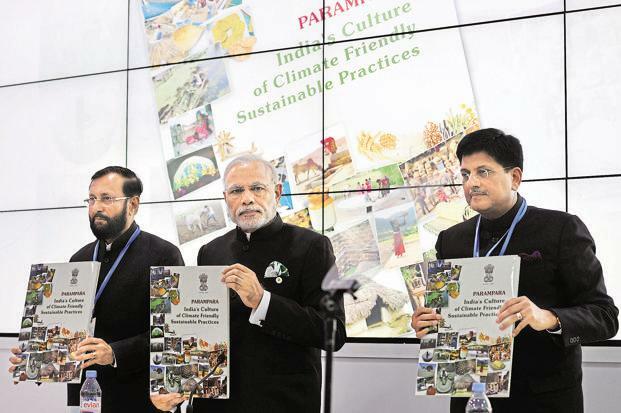 Union Minister of Environment, Forest and Climate Change has released a publication titled “India – Spearheading Climate Solutions” on 12 February, 2019. This document mentions India’s key actions taken towards combating and adapting to climate change. India’s National Action Plan on Climate Change (NAPCC) that has eight major missions on Solar, Enhanced Energy Efficiency, Sustainable Habitat, Water, Sustaining the Himalayan Ecosystem, Green India, Sustainable Agriculture and Strategic Knowledge on Climate Change. FAME Scheme – It stands for Faster Adoption and Manufacturing of (Hybrid &) Electric Vehicles (FAME-India) Scheme, which was launched in 2015 under the National Electric Mobility Mission Plan (NEMMP). It aims to create the infrastructure for and promote e-mobility. Swachh Bharat Mission – It is a nationwide campaign from 2014 to 2019 aiming to clean up India. National Adaptation Fund for Climate Change (NAFCC) – It was launched in 2015-16 and aims to support robust adaptation techniques to reduce adverse effects of climate change. Apart from the above, Government of India has taken an ambitious goal of generating 175 GW of renewable energy by 2022. India will leapfrog from Bharat Stage -IV to Bharat Stage-VI emission norms by April 2020. India’s renewable energy capacity stands at more than 74 GW today including about 25 GW from solar. Further, India submitted its Second Biennial Update Report (BUR) to UNFCCC (United Nations Framework Convention on Climate Change) in December 2018 as per the reporting obligations under the convention, which stated that India’s GDP emissions came down by 21% between 2005 & 2014. It also stated that India’s climate-goal for pre-2020 is well on track. Crop diversification programme under Rashtriya Krishi Vikas Yojana (RKVY), National Food Security Mission (NFSM) and Bringing Green Revolution to Eastern India (BGREI). Increasing the area under System of Rice Intensification (SRI) as an alternative to the widely used practice of transplanted paddy. Deployment of zero tillage drill machines and other residue management equipment to enable planting of Rabi crop in the standing residue of rice crop to avoid stubble burning. Adopting the practices like alternate wetting and drying, direct seeded rice system of rice cultivation, use of slow-release nitrogen fertilizers, integrated nutrient management practices, leaf colour chart-based nitrogen application, use of urea super granules etc in rice cultivation. Planting of trees under National Food Security Mission (NFSM), Bringing Green Revolution to Eastern India (BGREI), Sub-Mission on Agro-Forestry (SMAF) and National Bamboo Mission (NBM). Models of Integrated Farming System (IFS) have been developed for replication in Krishi Vigyan Kendras (KVKs) and in the States for enabling climate-resilient agriculture and cutting down the carbon emissions. Together with above initiatives, various sub-programmes initiated by government like Soil Health Card (SHC), Paramparagat Krishi Vikas Yojana (PKVY), Mission Organic for Value Chain Development for North East (MOVCD), Rainfed Area Development (RAD), Sub-Mission on Agroforestry (SMAF) and National Bamboo Mission (NBM) are contributing towards cutting down of carbon emissions from farm sector. The “Asiatic Lion Conservation Project” has been launched by the Ministry of Environment, Forest and Climate Change(MoEFCC). The main objective of this project is to work for the conservation of the world’s last ranging free Asiatic Lion population and the ecosystem associated with it. The project will be funded under the ‘Development of Wildlife Habitat (CSS-DWH)’ scheme which is a Centrally Sponsored Scheme. The cost will be borne in the 60:40 ratio by the Central and State government. It will be supplemented with sufficient eco-development works ensuring a stable and viable Lion population in India. The 2018 United Nations Climate Change Conference that took place in Katowice, Poland, is the 24th Conference of the Parties to the United Nations Framework Convention on Climate Change (COP24). It is also referred to as the Katowice Climate Change Conference or Katowice Climate Talks. The most important outcome of COP24 was that the countries have agreed on rules for the implementation of the 2015 Paris Agreement. The participating nations agreed on the rules to implement the Paris Agreement that will come into effect in 2020. The rules are regarding how the member nations will measure the carbon-emissions and report on their emissions-cutting efforts. 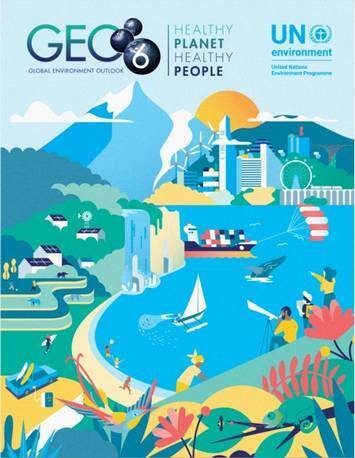 This ‘rulebook’ can be called as the detailed “operating manual” of the 2015 Paris Agreement. The members of the conference did not agree to “welcome” the Intergovernmental Panel on Climate Change (IPCC) report on 1.5°C. The US, Saudi Arabia, Russia and Kuwait refused to “welcome” the IPCC report. The parties to the conference agreed to record the pledges in a public registry, as per the existing interim portal. The public registry will continue to include a search function, although many attempts have been made to get it deleted. It was also agreed among the members that future pledges should cover a “common timeframe” from 2031. The number of years for the timeframe will be decided later. Many difficult matters could not reach an agreement and have been postponed to next year for resolution. This includes questions such as ways to scale up existing commitments on emission reduction, different ways of providing financial aid to the poor nations, wording that prevents double counting and whether member nations are doing enough to cut their respective emissions. It is protected area in Uttar Pradesh that stretches mainly across the Lakhimpur Kheri and Bahraich districts. It comprises Dudhwa National Park, Kishanpur Wildlife Sanctuary and Katarniaghat Wildlife Sanctuary. It covers area of 1,284.3 km2 and includes three large forest fragments. It shares north-eastern boundary with Nepal, which is defined to large extent by Mohana River. The area is vast Terai alluvial floodplain traversed by numerous rivers and streams flowing in south-easterly direction. It ranges in altitude from 110 to 185 m.
Apart from tigers (estimated 106–118), it is also home to swamp deer, sambar deer, barking deer, spotted deer, hog deer, Indian rhinoceros, sloth bear, ratel, jackal, civets, jungle cat, fishing cat, etc. It is home to one of finest forests in India, some of these trees are more than 150 years old and over 70 ft tall. GST refers to proposed five-yearly-review of the impact of climate change action undertaken by countries. Under the Paris Agreement, each country has to present a climate action plan every five years. Under the Paris Agreement, the first global stocktake will happen in 2023. It will help world to determine whether it needs to do more and how much more. India is demanded for 10-year period for GST, while EU and some others demanded five-year cycle. India argues that five years is too short a time to assess whether the actions were having the desired impacts. Why in news? CSE awarded Indira Gandhi Prize for Peace, Disarmament and Development 2018 for its work in environmental education and protection. 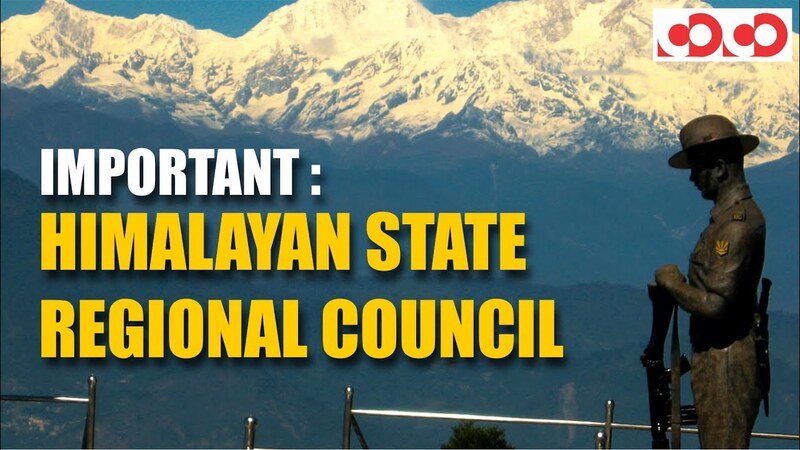 NITI Aayog has constituted Himalayan State Regional Council to ensure sustainable development of Indian Himalayan region. The Council has been constituted to review and implement identified action points based on Reports of five Working Groups, which were established along thematic areas to prepare a roadmap for action. It will be nodal agency for Sustainable development in Himalayan Region which consists of 12 States namely Jammu & Kashmir, Himachal Pradesh, Uttarakhand, Sikkim, Arunachal Pradesh, Meghalaya, Nagaland, Manipur, Mizoram, Tripura, two districts of Assam namely Dima Hasao and Karbi Anglong and Darjeeling and Kalimpong in West Bengal. It will monitor implementation of action points for Central Ministries, Institutions and 12 Himalayan State Governments in Indian Himalayan Region which include regional cooperation and river basin development, spring mapping and revival across Himalayas in phased manner for water security. It will develop, implement and monitor tourism sector standards as well as bring policy coherence, strengthen skill and entrepreneurship with focus on identified priority sectors, among other action points. WRI estimates that the global demands for beef may increase by a whopping 95% by the year 2050. There are 1.3 billion cattle across the world today (and India rears 300 million of them). We would need over 2.6 billion cattle 30 years from now! Word cattle here includes cows and bulls, buffaloes, horses, sheep and goats – in effect farm animals. Need of pastures: Breeding cattle impacts the climate conditions on earth, contributing to global warming. It also takes up lot of land for pasturing (it is estimated that 25% of the earth’s land mass (minus the Antarctica) would be needed for pasture). Water intensive: It is also estimated that a third of the global water is needed for farm animal production . Greenhouse Gases: On top of this, cows, buffaloes, sheep, goats and other “ungulates” belch a lot; this alone emits enormous amount of greenhouse gases that contribute over 60% to global warming. In contrast, plants such as wheat, rice, maize, pulses, roots and tubers need no pasture land, demand far less water and, more importantly, generate little or no “greenhouse gases”. We have promised to cut down global warming to no more than 1.5°C within the next 20 years, but with the projected demand for increase the number of cattle, the situation can only worsen. Overeating: Today about 20% of the world overeats, leading to obesity and being overweight, and there are consequent health problems. Cutting the calories down to the optimal level will lead to both health benefits and saving in land and water use. Include more plant-based proteins and cut down animal-based ones. Traditional Mediterranean diet (fish and poultry meat, at low levels) and vegetarian meals (with legumes-based proteins) are suggested. Reduce beef consumption specifically – Cutting down beef (cattle in general) in daily diet will offer both dietary and environmental benefit. The environmental benefits are clear; it saves agriculture for land use and reduces greenhouse gases. 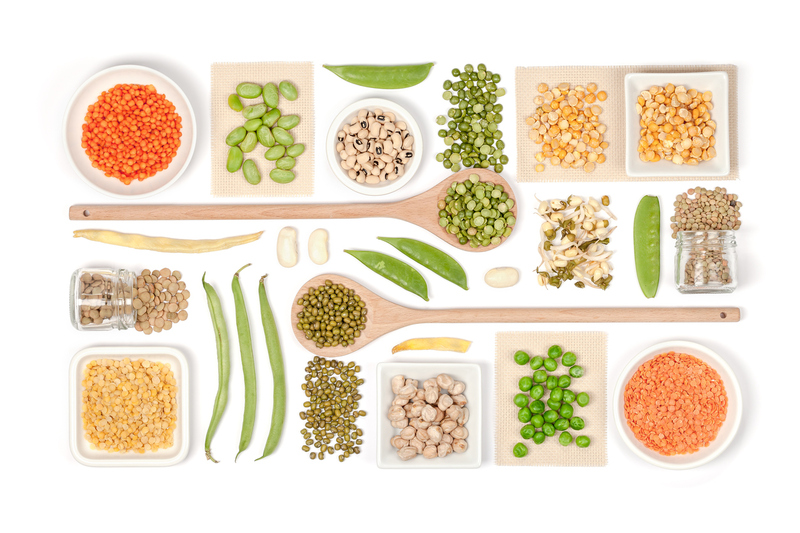 Rather than beef, one can turn to pork, poultry, fish and, of course, legumes. History: The move to vegetarianism, which started around 1500-500 BCE by the Indians and the Greeks, was connected with the idea of nonviolence towards animals, and promoted by religion and philosophy. The Tamil scholar-poet Thiruvalluvar, the Mauryan kings Chandragupta and Ashoka, and the Greek sage Pythagoras (of the theorem fame) were vegetarians.